As the people of Flint, MI struggle to cope with a disastrous water crisis brought on by government neglect, it’s hard to look at what’s happening without losing a little bit of faith in humanity. But from a seemingly hopeless situation comes a much-needed beacon of hope: Fresca just made a donation of 10 two-liter bottles of Fresca to the people of Flint! Fresca’s donation couldn’t have come at a better time for the thousands of Flint residents who lack clean drinking water. Delivered by truck early Wednesday morning, the 10 two-liter bottles of Fresca will help meet the needs of the city’s most vulnerable residents until a more permanent solution to the water crisis can be implemented. 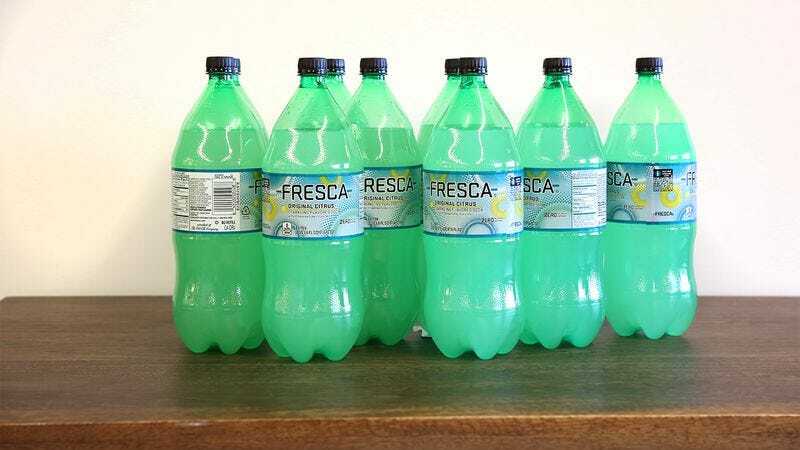 Immediately following Fresca’s delivery, aid workers at an emergency relief center unloaded all 10 bottles of the calorie-free citrus drink onto a wooden table with a sign reading “FREE SODA,” making it available to those who need it most. Wow. This just goes to show that there are still some good people out there. Here’s hoping other soft-drink companies will step up and follow Fresca’s lead!